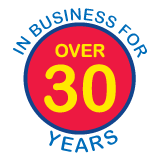 Auto Glass Penticton | About Us | Sunshine Glass and Mirror Ltd.
With over 30 years in the glass business,, Mike Rigby and his staff have the knowledge and experience to help you with all your glass requirements. Our team works hard to ensure your complete satisfaction, while earning your trust and meeting your expectations. We are locally owned and operated and are associated with ICBC and ARA. Sunshine Glass and Mirror is an ICBC Approved Glass Express Shop. …Yes, our Auto Glass Technician is fully certified. …And we have access to a large auto glass inventory. Just bring your vehicle to us and we’ll process the claim for your new windshield or any other auto glass replacement. We do all the work right here in our own shop! No need to go anywhere else! That’s just part of our everyday service at Sunshine Glass and Mirror. With comprehensive deductibles on the rise, a minor rock chip may be able to be repaired for much less. 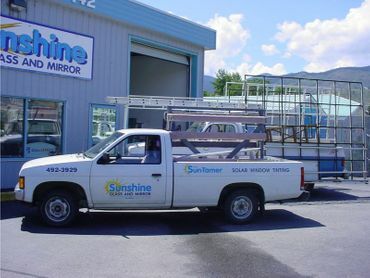 Sunshine Glass and Mirror technicians are fully qualified in windshield repair as well as replacement. Aside from our amazing staff, we take the time and care to make sure even the tiniest detail is managed, in every circumstance. There really is no other way. Contact us today at 250-492-3929 to find out how we can help you. It’s our pleasure!